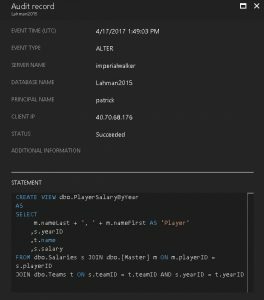 A while back, I posted an article about creating a WhiteList for access to SQL Server. Since then I have received a bit of feedback that it was not working as designed. My apologies for taking so long, but I believe I have come up with a fix. The main issue is the trigger will block some or even all access to the server after it’s created. As it turns out, the issues were really permission being denied. To see it in action, let’s create everything using the original code from here. We’ll add 1 row to the WhiteList table should allow all users from the workstation, ECHOBASE1, access, regardless of its IP address. Next, we’ll create a SQL login with only connect permission to the server and nothing else. Finally, we’ll open a new query window using that login. As you can see, we are denied access to the server because of the logon trigger. If we look in the Errorlog, we can see that we lack the VIEW SERVER STATE permission. This was my first mistake. I did my initial testing using an administrative login. 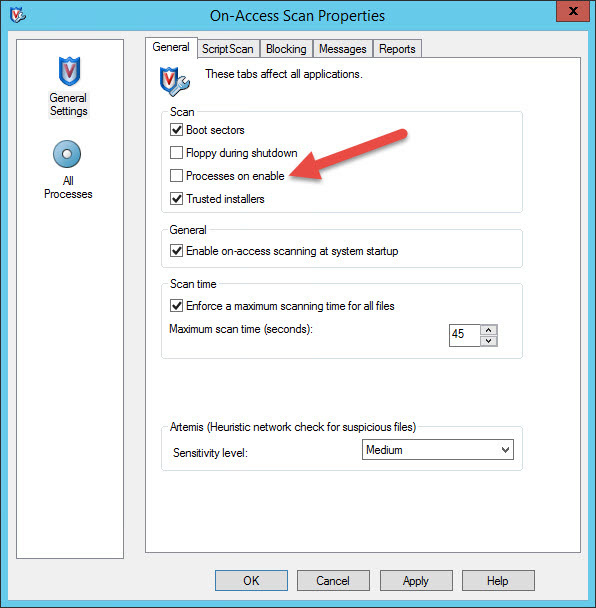 Most users are not admins; therefore, they will not have the permission required to view sys.dm_exec_connections. I was using this DMV to get the IP address of the client connection, and it requires the VIEW SERVER STATE permission. To get around this, I can use the CONNECTIONPROPERTY function, as it does not require any additional permissions. Now let’s try to connect again. Again, we failed. This would be my second mistake. I failed to grant SELECT access to the WhiteList table. By default, a user is will have public permission to the master database, but no permission to the table. To solve this, we can grant permission to the public database role. This will allow any authenticated user to read from the WhiteList table. Finally, our connection to SQL Server is successful. Using the same code from the trigger, we can compare it what’s in the WhiteList table. If I had followed my own rules, I could have discovered most of these issues before posting the original article. The fully updated code is below. Please let me know if you run into any other issues with this new version. I also added another column to the WhiteList table that can be used for hold comments. The idea is to provide some documentation about what the white-listed item is attempting to do. For the past few months, one my customers had been trying to diagnose an issue with SQL Server paging out the entire buffer pool each morning around 8AM. See the error below. 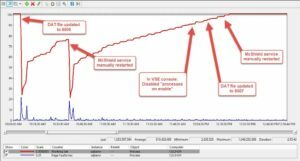 Not only was this causing some serious performance issues, but it was also affecting every SQL Server in the environment. I began my investigation with the standard troubleshooting techniques for buffer pool paging. One of the main workarounds that’s recommended is to enable the “locked pages in memory” permission for the SQL Server service account; however, this was not possible for this customer. Enabling that permission would violate one of their compliance rules, so I needed to find another solution. The next stop on the investigation trail is the sys.dm_os_ring_buffers DMV. This is a great tool to help determine if the memory pressure came from within SQL Server or from the Windows OS. Matching the time of our Errorlog entry, we can see the resource monitor reported RESOURCE_MEMPHYSICAL_LOW with an IndicatorsProcess of 0 and IndicatorsSystem of 2. 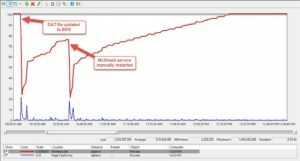 This helps us determine that SQL Server was not the cause of memory pressure and that the issue was caused by another process running on the server. Since these servers are dedicated to SQL Server, I know there are very few applications installed that should be competing with SQL Server for memory. The next place to check was the Windows event logs. In the Application Log, I found the buffer pool entry by SQL Server (EventID 17890), and then proceeded to search backwards in time. A few minutes before SQL’s error, I noticed this entry. What is the McShield service? 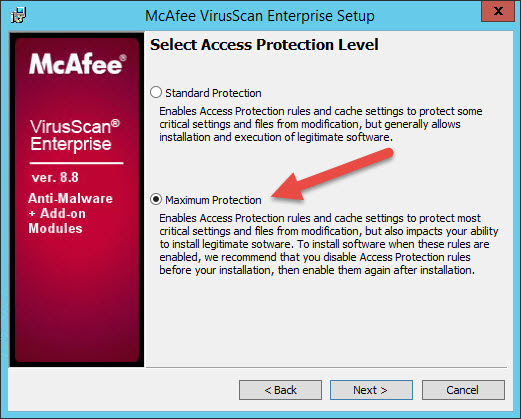 A quick Bing search revealed that it’s one of the services for McAfee VirusScan Enterprise. Could this be the cause? To get a quick look at all the history, I filtered the application log for event IDs: 17890 and 5000. Each time McAfee got an updated virus DAT file, SQL Server soon followed that by paging out the entire buffer pool. I checked the application log on several other SQL Servers for the same event IDs, and sure enough the same events occurred in tandem each morning. I also got confirmation from the security administration team that McAfee is scheduled to check for new DAT files each morning around 8AM. Eureka! This seems like it could be the cause of our paging, but a little more research is needed. Searching the McAfee knowledge base, lead me to this article about the “Processes on enable” option. Enabling this option causes memory pages of running processes to get paged to disk. And the example given is “Oracle, SQL, or other critical applications that need to be memory-resident continually, will have their process address space paged to disk when scan Processes On Enable kicks in”. OUCH! So when the McAfee service starts up or it gets a new DAT file, it will page out all processes. To verify this was really the cause, I needed to setup a test environment. 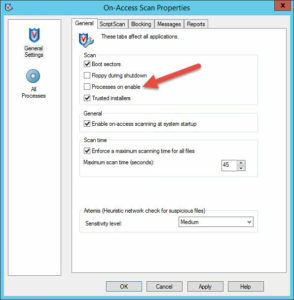 I installed McAfee VirusScan Enterprise (VSE 8.8 Patch 7) on a Windows 2012 R2 server running SQL Server 2016, and then setup HammerDB to generate some activity against the server. 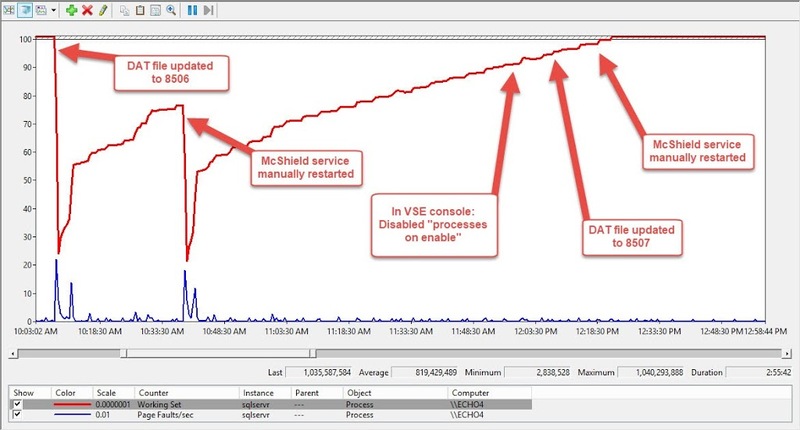 I configured Performance Monitor to capture the “Process:Working Set” and “Process:Page Faults/sec” for the SQL Server process (sqlservr.exe). Once HammerDB had a little bit of time to get running, I manually issued a DAT file update through the McAfee GUI. Once completed, I checked the Windows Application Log and I could see event ID 5000 that said McShield service had restarted with the newer DAT version 8506. About 90 seconds later, SQL Server’s buffer pool was paged out, as evident by event ID 17890. The McAfee knowledge base article said this would happen when a new DAT file is received or when the McShield server starts up, so I decided to manually stop and restart the McShield service. As expected, I saw the same two event IDs in the application log. Below is the data collected by Performance Monitor for both of those tests. 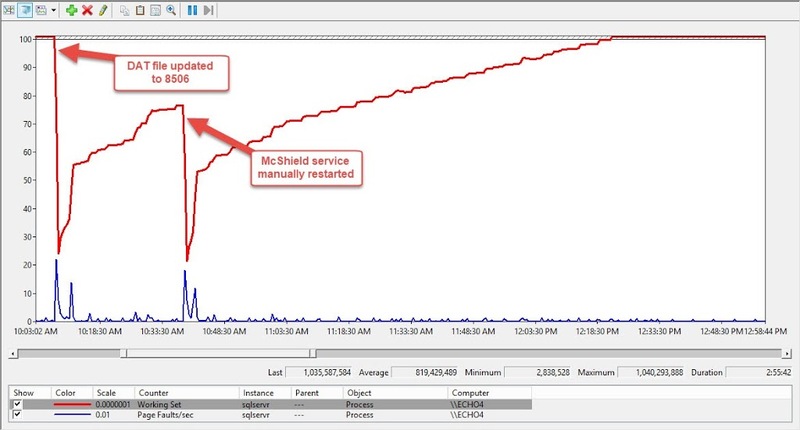 The red line is the Working Set of SQL Server and the blue line is the Page Faults/sec for SQL Server. The first dip in the red line was from the DAT file update, and the second dip was when I manually restarted the McShield service. Since SQL Server’s buffer pool had just been paged out, it needed to read those pages from disk which results in a page fault. 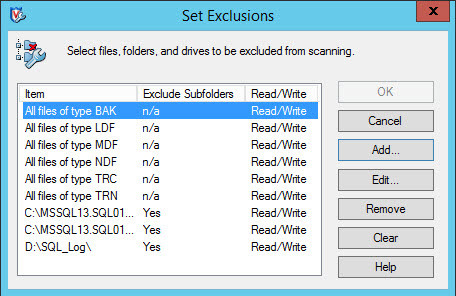 The next step was to verify McAfee had all the correct exclusions for SQL Server. 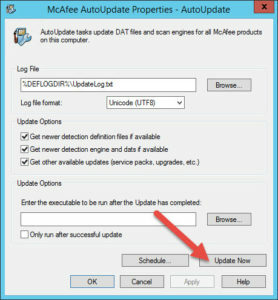 After giving HammerDB a few minutes to generate some activity, I issue a manual DAT file update through the McAfee GUI. The application log shows the Event ID 5000 with a new DAT version of 8507, but no record of Event ID 17890 and there was nothing in the SQL Errorlog about memory paging. Next, we’ll test the manual restart of the McShield service. And we get the same result; Event ID 5000 but no indication of memory paging. Looking at perfmon, the counters show SQL Server’s Working Set and Page Faults were unchanged during the tests. Once we completed these tests, we took that data back to the security team and asked them to turn off that setting within McAfee. They obliged and so we waited and monitored our SQL Servers for the next few weeks. During that time, we did not have any SQL Server page out memory during the times that McAfee was getting new DAT updates. After doing a little more research on McAfee VSE, I discovered this setting “Processes on enable” is enabled if you install McAfee with the Maximum Protection level. The Standard Protection level does not have this option enabled. 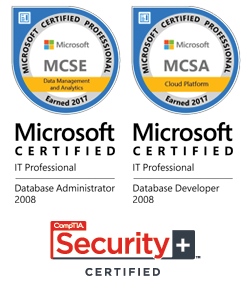 The key takeaway from this whole experience is that even though a program may be a standard install for all servers doesn’t mean it won’t impact SQL Server. And even though it may have been fully vetted in the past, a change to its settings could impact SQL Server in the future. 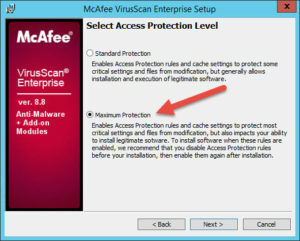 The lab tests were done using McAfee VirusScan Enterprise 8.8 Patch 7. I know this behavior is still the same in VSE Patch 8, so I would assume it’s the same in the other patch levels as well. 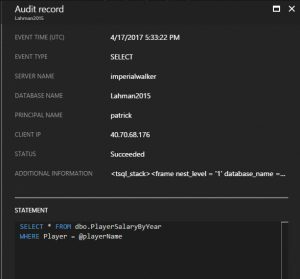 In February 2017, Microsoft announced the general availability of Blob Auditing for Azure SQL Database. 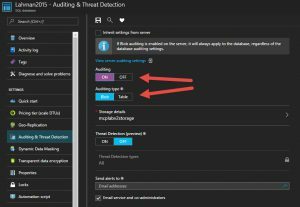 While auditing features were available before in Azure, this is a huge leap forward, especially in having more granular control over what audit records are captured. Before Blob Auditing, there was Table Auditing. This is something I like to equate to the C2 auditing feature of SQL Server. It’s only configurable options were ON or OFF. In reality, Table Auditing has a few more controls than that, but you get the idea. There was no way to audit actions against one specific table. Blob Auditing provides us with that level of granularity. However, controlling that granularity cannot be accomplished through the Azure Portal; it can only be done with PowerShell or REST API. In the image below, you can see that Blob Auditing is on, but we can not see what actions are being collected. 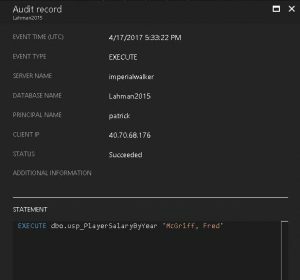 Using PowerShell, we can easily see the default audit action groups. We can see there are three action groups listed: SUCCESSFUL_DATABASE_AUTHENTICATION_GROUP, FAILED_DATABASE_AUTHENTICATION_GROUP, and BATCH_COMPLETED_GROUP. 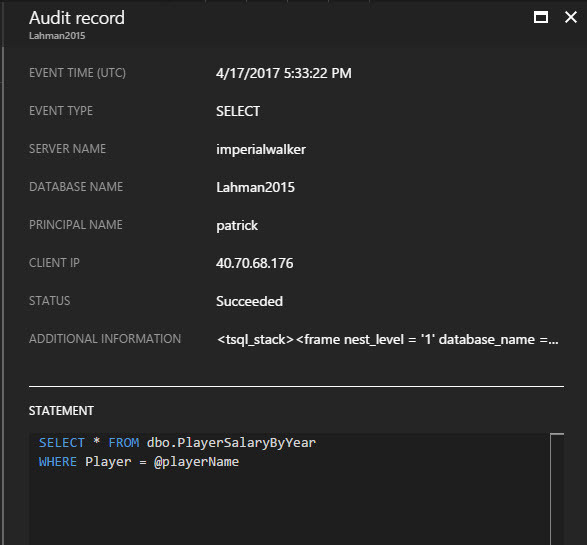 Without even looking at the documentation, we can assume that we are auditing both successful and failed logins, as well as all successful batches against this database. When you compare the Azure action groups side-by-side with the box product, they line up almost exactly. So how do we customize it further? Well let’s say our auditing requirements only need to capture changes to structure of the database; for example, an ALTER TABLE. First, we need to remove BATCH_COMPLETED_GROUP and add DATABASE_OBJECT_CHANGE_GROUP. To accomplish this, we will use Set-AzureRmSqlDatabaseAuditingPolicy. To verify the changes were successful, we run Get-AzureRmSqlDatabaseAuditingPolicy again. 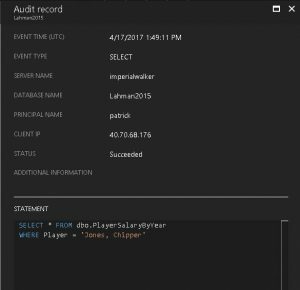 Now, we’ll be able to collect audit records anytime a CREATE, ALTER, or DROP is executed against a database object. However, let’s say we need something more granular. In our sample database, we have a table that stores salary data and we need to audit anything that touches it. We ae already covered with schema changes by the action group, DATABASE_OBJECT_CHANGE_GROUP, but that doesn’t audit DML changes. Adding BATCH_COMPLETED_GROUP would capture what we need, but that would cover all tables and we have a requirement for just one. This is where we can audit actions on specific objects. In the statement below, we just add an audit action for SELECT, INSERT, UPDATE, and DELETE on the Salaries table. If you have multiple objects or actions to audit, then just separate them with a comma, just like the AuditActionGroups parameter. The one key piece to remember is you must specify all audit actions and action groups together with each execution of Set-AzureRmSqlDatabaseAuditingPolicy. There is no add or remove audit item. This means if you have 24 actions to audit and you need to add one more, then you have to specify all 25 in the same command. Now let’s run a few queries to test the audit. First, we’ll run a simple select from the Salaries table. Next, we’ll create a view that selects from the Salaries table. Finally, we’ll select from that view. 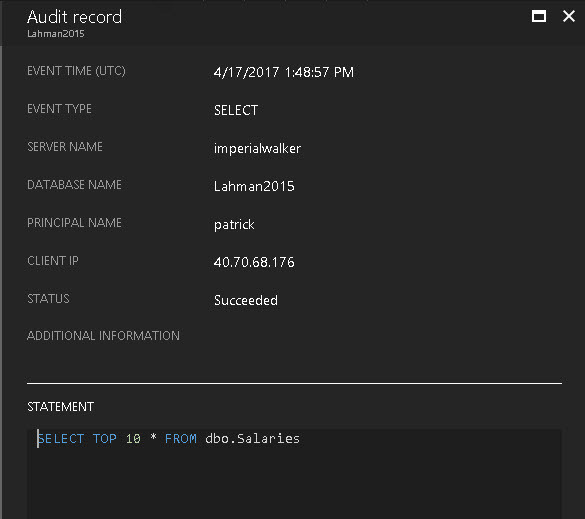 Back in the Azure Portal, click on the view button so we can view the captured audit records for the statements we just executed. What is displayed is one line item for each audit record captured. Selecting each record will open another blade with the contents of that record. In our example, we have one for the initial SELECT against the table, one for the CREATE VIEW statement, and one for the SELECT against the view which references the Salaries table. 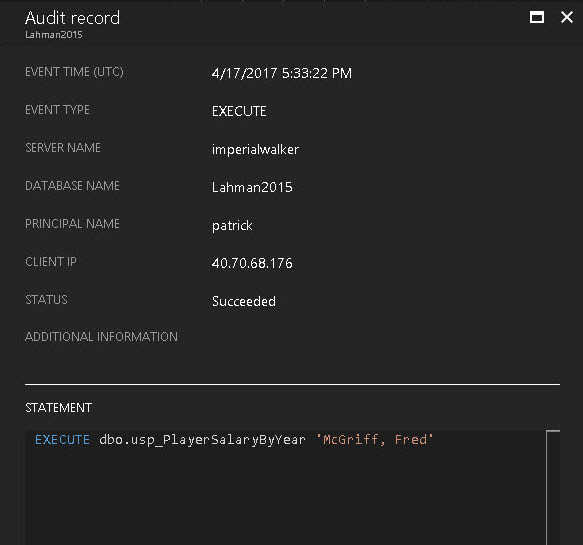 While using the Azure Portal is a quick and easy way to view audit records, the best way to consume the records for reporting is to use the function, sys.fn_get_audit_file(). This is the same function used in the box product. The only difference is we need to specify the Azure URL for the audit log. All audit logs are stored in a container named sqldbauditlogs. 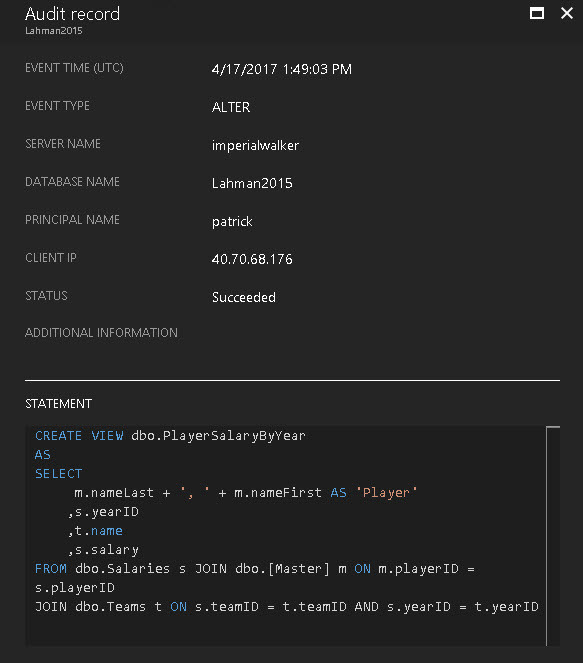 In side that container, additional containers server name, database name, and a date/time stamp are created to further organize it. This is something to keep in mind if you plan to programmatically process the audit records. If you don’t know the URL full path, you can use the Azure Storage Explorer to help find it. As of this writing, there are two DMVs missing from Azure SQL Database: sys.dm_audit_actions and sys.dm_audit_class_type_map. These DMVs allow us to translate the actions_id and class_type values into a readable description. 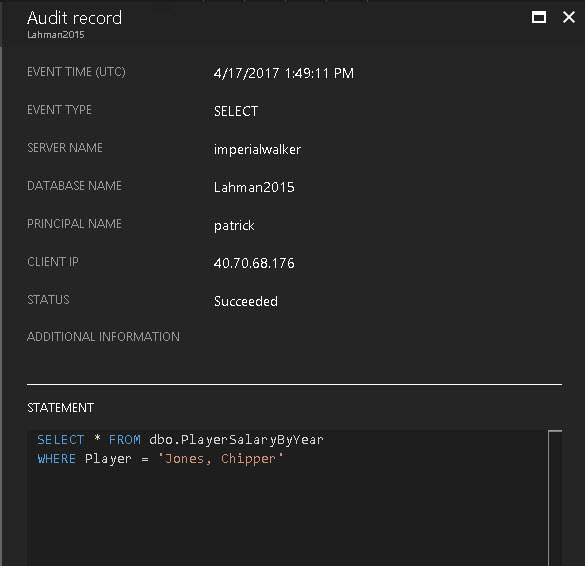 Since they are not available in Azure, I have created my own version of those as user tables within my database: dbo.audit_actions and dbo.audit_class_types. This allows me to join them against the audit function to produce a better report. 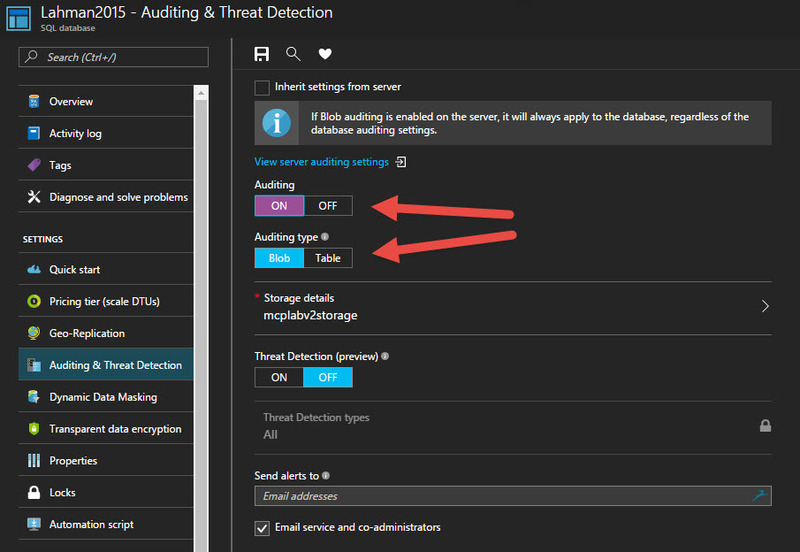 If you are familiar with auditing in the box product, then you might be aware that common properties like client hostnames (or IP address) and application names are not captured for each audit record; however, in Azure they are collected and viewable in the columns client_ip and application_name. See the picture above. Next, let’s create a stored procedure that selects from that view and add an EXECUTE audit action for it. Now to add the EXECUTE audit action via PowerShell. Using Get-AzureRmSqlDatabaseAuditingPolicy, you can see the additional audit action that was added. Now we need to execute the stored procedure to test. 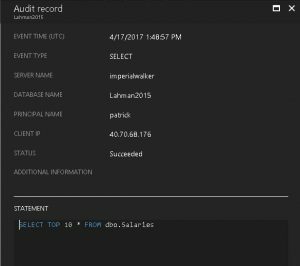 The Azure Portal shows the two audit records that were captured; one for the execute of the stored procedure and the second for the select on the underlying table. Using the query below, we can extract some more useful data from the additional_information column. This will show the nested objects and we’ll be able to extract the parent object name. As you can see, Blob Auditing for Azure SQL Database provides us with major improvements over Table Auditing, and gives us the flexibility and granular control that we are used to in the box product. 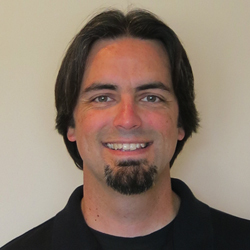 For more information on the auditing features for Azure SQL Database, follow these links. When working with the AzureRM PowerShell module, remember the module is constantly being updated to take advantage of new features added to Azure. To check the version of the AzureRM module currently installed on your system, use the following command. The screenshot below shows I am running version 1.4.0 and the output of Get-AzureRmSqlDatabaseAuditingPolicy command-let. Next, I install the latest AzureRM module. After the install is complete, I rerun the same commands. The screenshot below shows that I am now running version 3.8.0 followed by the same Get-AzureRmSqlDatabaseAuditingPolicy command-let. Notice the difference in the output? 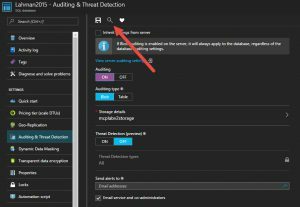 There are several differences, but in the newer version there properties for AuditAction and AuditActionGroup which were just recently added to Azure. For more information on installing the AzureRM module, as well as running multiple versions side-by-side, follow these links.